by Case, Karl E.; Fair, Ray C.; Oster, Sharon E.
For the one-semester course in Principles of Microeconomics. Reviewers tell us that Case/Fair/Oster is one of the all-time bestselling Principles of Economics texts because they trust it to be clear, thorough, and complete. Readers of Principles of Microeconomics, Twelfth Edition come away with a basic understanding of how market economies function, an appreciation for the things they do well, and a sense of things they do poorly. With the latest research and added exercises, readers begin to learn the art and science of economic thinking and start to look at some policy and even personal decisions in a different way. This title is available with MyEconLab–an online homework, tutorial, and assessment program designed to work with this text to engage students and improve results. Within its structured environment, students practice what they learn, test their understanding, and pursue a personalized study plan that helps them better absorb course material and understand difficult concepts. Karl E. Case is Professor of Economics Emeritus at Wellesley College where he has taught for 34 years and served several tours of duty as Department Chair. He is a Senior Fellow at the Joint Center for Housing Studies at Harvard University and a founding partner in the real estate research firm of Fiserv Case Shiller Weiss, which produces the S&P Case-Shiller Index of home prices. He serves as a member of the Index Advisory Committee of Standard and Poor’s, and along with Ray Fair he serves on the Academic Advisory Board of the Federal Reserve Bank of Boston. Before coming to Wellesley, he served as Head Tutor in Economics (director of undergraduate studies) at Harvard, where he won the Allyn Young Teaching Prize. He was Associate Editor of the Journal of Economic Perspectives and the Journal of Economic Education, and he was a member of the AEA’s Committee on Economic Education. Professor Case received his B.A. from Miami University in 1968; spent three years on active duty in the Army, and received his Ph.D. in Economics from Harvard University in 1976. Professor Case’s research has been in the areas of real estate, housing, and public finance. He is author or coauthor of five books, including Principles of Economics, Economics and Tax Policy, and Property Taxation: The Need for Reform, and he has published numerous articles in professional journals. For the last 25 years, his research has focused on real estate markets and prices. He has authored numerous professional articles, many of which attempt to isolate the causes and consequences of boom and bust cycles and their relationship to regional and national economic performance. Ray C. Fair is Professor of Economics at Yale University. He is a member of the Cowles Foundation at Yale and a Fellow of the Econometric Society. He received a B.A. in Economics from Fresno State College in 1964 and a Ph.D. in Economics from MIT in 1968. He taught at Princeton University from 1968 to 1974 and has been at Yale since 1974. Professor Fair’s research has primarily been in the areas of macroeconomics and econometrics, with particular emphasis on macroeconometric model building. He also has done work in the areas of finance, voting behavior, and aging in sports. His publications include Specification, Estimation, and Analysis of Macroeconometric Models (Harvard Press, 1984); Testing Macroeconometric Models (Harvard Press, 1994); Estimating How the Macroeconomy Works (Harvard Press, 2004), and Predicting Presidential Elections and Other Things (Stanford University Press, 2012). Professor Fair has taught introductory and intermediate macroeconomics at Yale. He has also taught graduate courses in macroeconomic theory and macroeconometrics. Professor Fair’s U.S. and multicountry models are available for use on the Internet free of charge. The address is http://fairmodel.econ.yale.edu. Many teachers have found that having students work with the U.S. model on the Internet is a useful complement to an introductory macroeconomics course. Sharon M. Oster is the Frederic Wolfe Professor of Economics and Management and former Dean of the Yale School of Management. 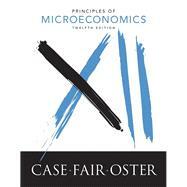 Professor Oster joined Case and Fair as a coauthor in the ninth edition of this book. Professor Oster has a B.A. in Economics from Hofstra University and a Ph.D. in Economics from Harvard University. Professor Oster’s research is in the area of industrial organization. She has worked on problems of diffusion of innovation in a number of different industries, on the effect of regulations on business, and on competitive strategy. She has published a number of articles in these areas and is the author of several books, including Modern Competitive Analysis and The Strategic Management of Nonprofits. Prior to joining the School of Management at Yale, Professor Oster taught for a number of years in Yale’s Department of Economics. In the department, Professor Oster taught introductory and intermediate microeconomics to undergraduates as well as several graduate courses in industrial organization. Since 1982, Professor Oster has taught primarily in the Management School, where she teaches the core microeconomics class for MBA students and a course in the area of competitive strategy. Professor Oster also consults widely for businesses and nonprofit organizations and has served on the boards of several publicly traded companies and nonprofit organizations.